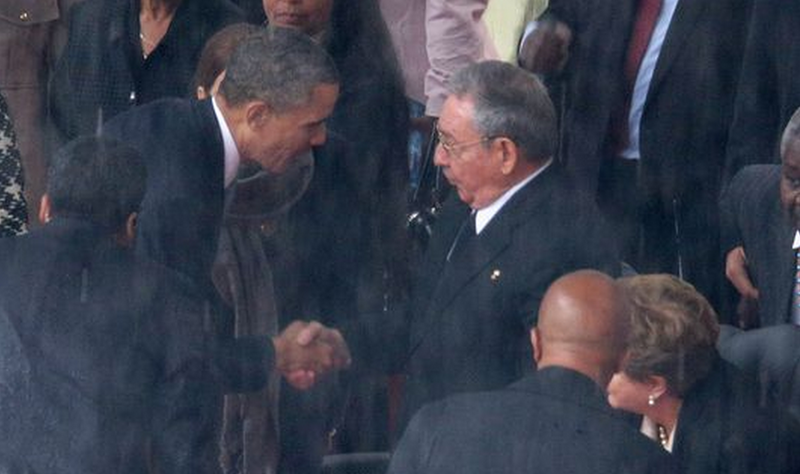 The big news from Nelson Mandela's Memorial Service today was Barack Obama's and Raúl Castro's handshake. It is being viewed as hints of a possible thaw between Washington and Havana, but what does the body language of the two leaders say? At 0:02 seconds into the video, President Obama is jaunting up stairs, sees who is the top of the stairs and turns his head away to his right. 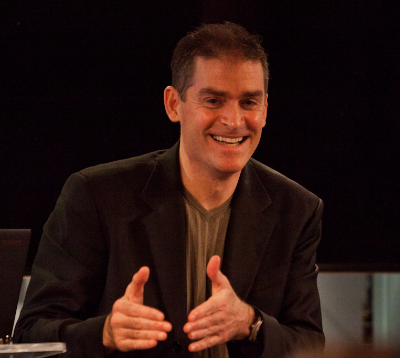 All of these are body language signals of anger - particularly when clustered. 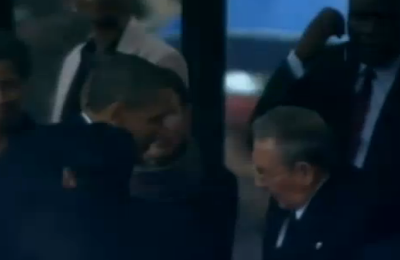 At the 0:06 mark as they shake hands they bow towards each other. In this wider angle handshake view (still at 0:06), take a few tenths of a second later, we can see that President Obama's hand is slightly more dominant oriented with approximately a 10 to 15 degree rotation. In this image (0:09), Raúl Castro gestures with pats on his stomach. This MAP (Manipulator, Adaptor, Pacifier) has a low sincerity quotient as it is a pat (vs. prolonged contact), it's his non-dominant hand and it is over his abdomen (vs. over his heart). 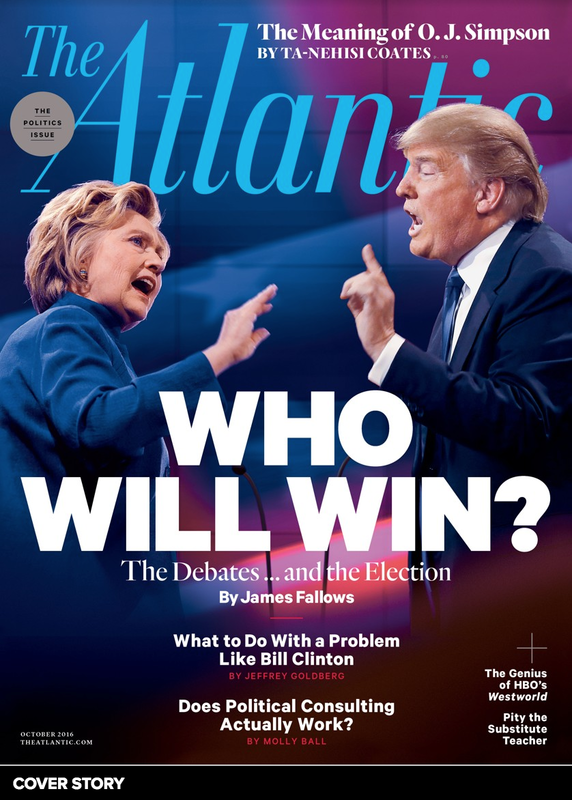 Note Obama maintains a partial bow. 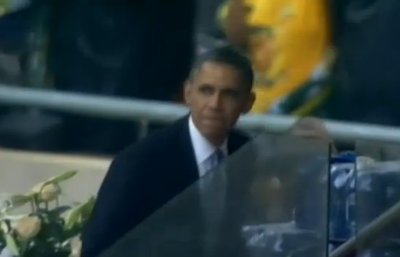 Here Obama bows again - further (0:10 mark). It is unusual in the Western Hemisphere for extended or more pronounced bowing to occur during handshakes. Particularly with tall men (e.g. 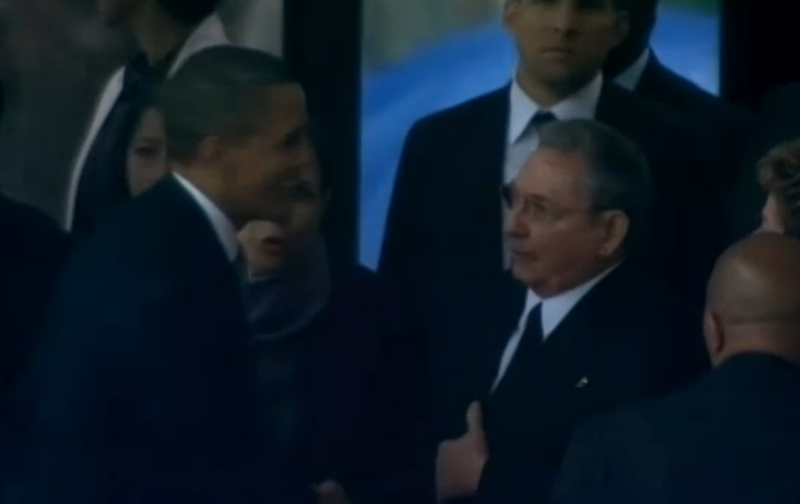 Obama) - when shaking shorter men's hands (Castro) it can be very often be interpreted by the shorter man as patronizing, condescending and arrogant - even though it may not be the intended message of the taller individual (who may indeed be vainly trying to signal respect) and may often signal weakness (of the more prominent bower) to others. 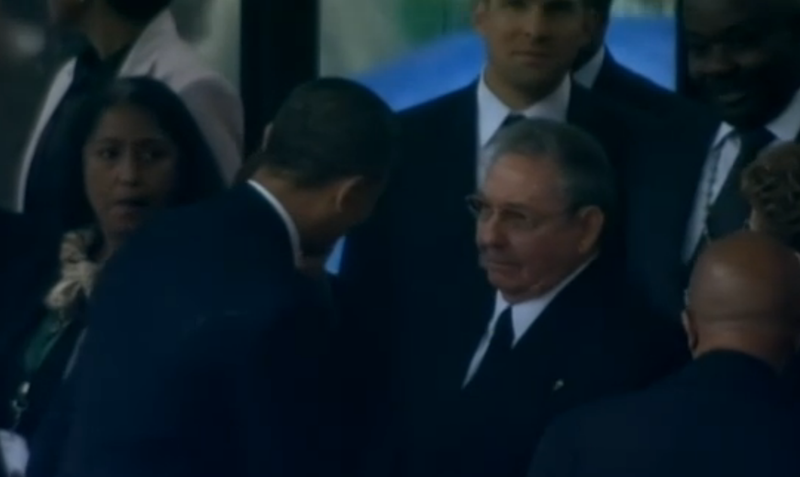 The Cuban President's lips are thinned in a brief anger (near-microexpression) display (above). At 0:11 Castro's mouth takes on a brief "Bitter Smile" configuration. 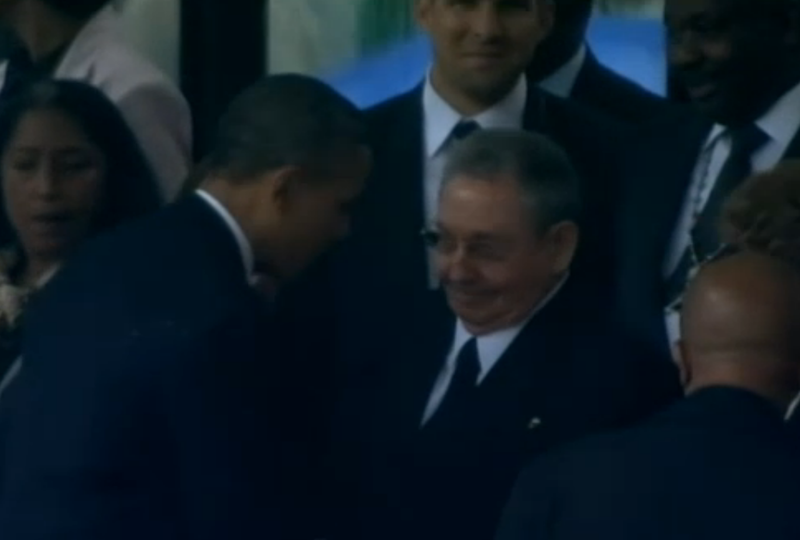 Obama continues to bend forward - and he may very well be trying to speak candidly to Fidel's younger brother - yet the prolonged bowing (or bending) is negatively received. It painfully reminds shorter men of this weakness/perceived weakness. 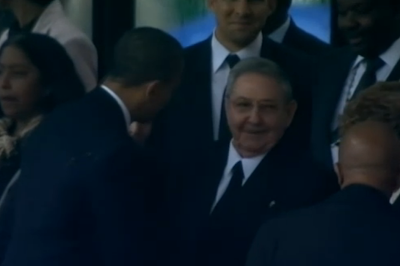 Raúl Castro then looks away - as often is done during prolonged eye contact. His asymmetrical (mouth) smile is insincere.